"It just saddens me," said a business owner to me a few months ago. She was referring to The Market and Teezers that had just shut their doors of business. What further saddened her was the fact that nobody knew the shops were gone. Unfortunately, I think, some people did not even realize the shops were there at all. Other folks had good intentions to check them out, but time just got away from them. Running a business—any kind of business—with or without employees is tough. Business owners work hard and long hours. According to the U.S. Small Business Administration (SBA), the annual turnover rate of small businesses with employees is about 10 percent. The rate is much higher for businesses without employees. 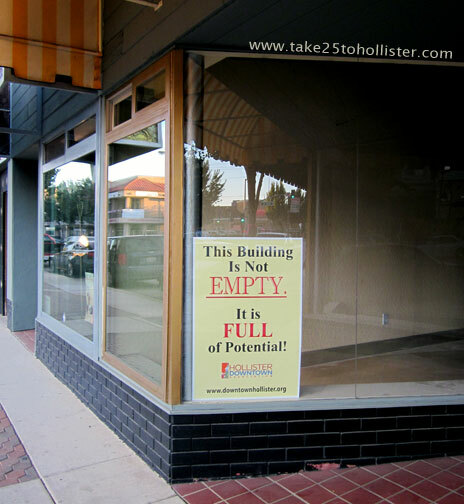 In 2012, several establishments in Hollister shut their operations for various reasons. The following businesses were some of them. Let us wish them—and others not mentioned—all well and good fortune in their new adventures. I think this was taken on either Lucy Brown Road or Bixby Road. But, then, it could've been Flint Road. This road look familiar to anyone? Anyone else remember driving down those roads when the fields were mostly apple orchards? One of these days I'm going to remember to look for this particular spot in Tres Pinos so I can read what the sign says on that building. I had no idea there was a sign until I was cropping this photo. I took it a few months ago, most likely for the fact that the steeple of the Immaculate Conception was peeking over the roof and the birds were flying by high above it. 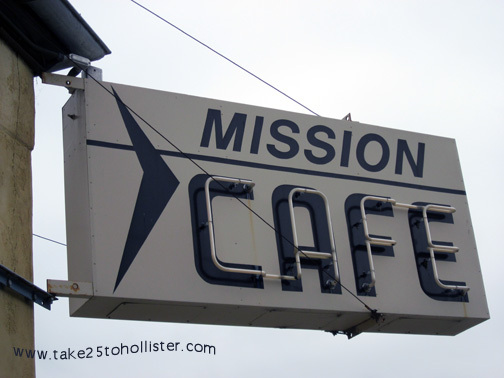 I know the "mission" in Mission Cafe refers to Mission San Juan Bautista. But, every time I look at the restaurant's sign, I think of space exploration. Did you happen to see the elaborate model railroad at the San Benito County Fair this year? Or, last year? Or, maybe the year before? 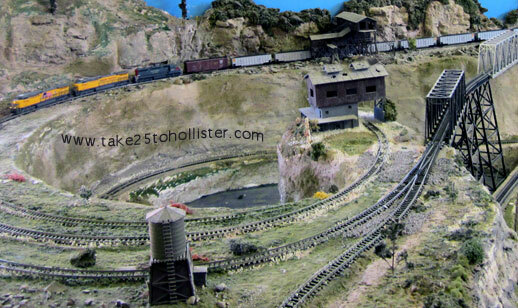 The San Juan Pacific Model Railroaders lay out their miniature world of fun in a large room. It's so worth a visit to the fair just to see the model trains at work. Toot! Toot! On a whim, the Husband and I decided to pull into the Bolado Park Golf Club, just off of Highway 25, a bit south of Tres Pinos. Neither of us play golf, but that wasn't going to stop us from possibly hitting a bucket of balls on the driving range. 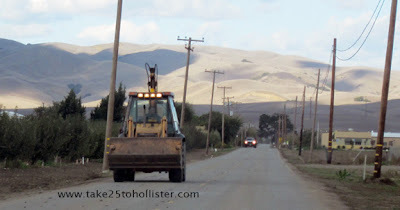 Hundreds of years ago when I was a Hollister Haybaler, I played a round of golf once on the 9-hole course. The girl PE teachers thought it would be a good experience for us girls to top off our quarter in golf with a game on an actual golf course. I remember hitting quite a few divots into the air. The Bolado Park Golf Club is a public golf course. It was established in the late 1920s. 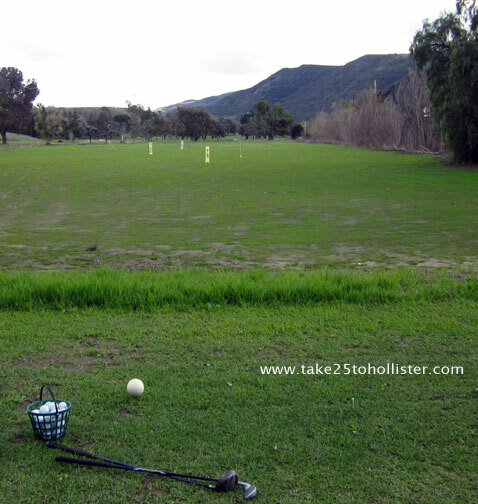 It was Hollister's first golf course. For more information, check out the golf course's Web site. You can also find a couple of videos of people playing there in the 1940s. As for the Husband and me on the day of our visit, we rented (correct word?) a small bucket of golf balls for $3. Three bucks! What a deal for a bit of fun. We didn't have any golf clubs, but the lovely lady running the show let us borrow a few of them that were lying around the shop. The Husband did quite well hitting the balls down the drive for only the second or third time in his life. Me, I managed to hit only one divot into the air. Pretty good, I say. Anyone else see a woman's body wearing a long skirt or apron in that tree trunk? The tree's companions have a similar shape. This one is just more pronounced, at least to me. The trees grace the front of the City Hall. 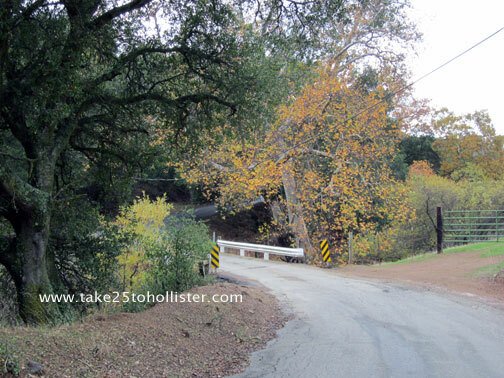 This photo is another shot from our drive on Comstock Road earlier this month. The road ends at the French Ranch, which I understand is one of largest ranches in San Benito County. The Indart family was the original owner of the property. The patriarch was Juan Indart, who migrated from France to California in the early 1850s. He eventually settled here in the 1880s. If you're interested to learn a little more about him, check out this link. 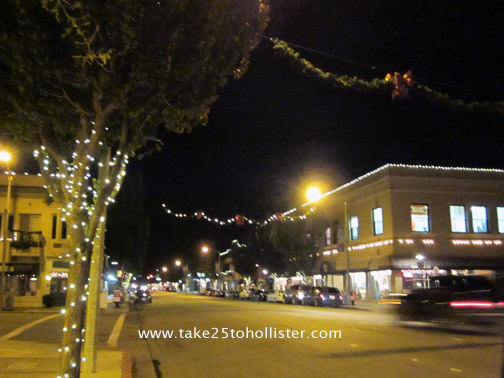 Have you driven or walked through the sparkling lights of downtown Hollister yet? Photographs do not do the sparkle justice. 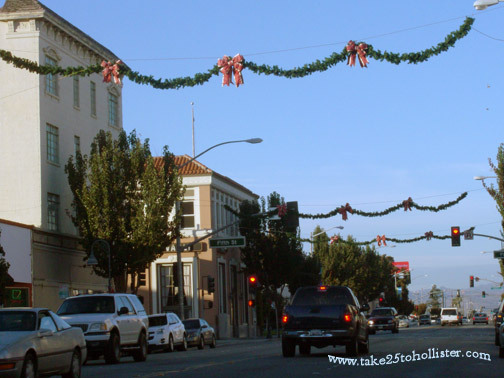 We can thank the Hollister Downtown Association for making San Benito Street look so festive after nightfall. So, one, two, three. Thank you, Hollister Downtown Association! FYI: Drapoel, Penny Wise Drugstore, San Benito Bene, Serendipity Gifts, and other shops downtown will be open both Saturday and Sunday. Bertuccio's out on Highway 25 and Union Road always is open on the weekend. That's a good source for local food gifts, too. If you need addresses and Web sites for Hollister shops, go to this page and scroll down to the links. A note to FCC: I keep telling you, I'm not being paid or given stuff to mention local businesses. I just like them and the people who own and work there. I want them to do well, because I want to keep buying stuff there. The Diablo mountain range runs along the eastern side of San Benito County. In Hollister, we can see Santa Ana Mountain quite clearly. Just to the north of this mountain is another peak called Three Sisters. Not until I saw it from Spring Grove Road a few weeks ago did I understand the reason for the name. 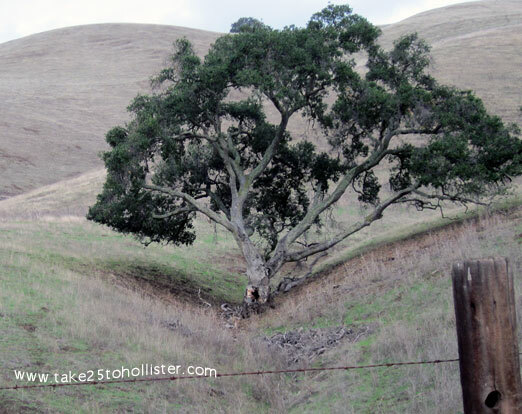 For a different view of Santa Ana and Three Sisters, head over to this earlier post on Take 25 to Hollister. I can remember when the fields along Highway 25, near the 101 exit, were full of garlic. That was always a comforting sign I was heading home. There's nothing like the yummy taste of garlic. The smell, too. It is definitely heaven when I drive through that very sweet spot by Gilroy Foods where the strongest aroma of garlic is in the air. Ahhhhhhh. With the smell and taste of garlic in your mind, have you ever tried any of the spice blends or sauces made by the Garlic Festival Foods? I hadn't until the Holiday Cheer Shop Hop that took place at the beginning of December. Garlic Festival Foods was a participant. 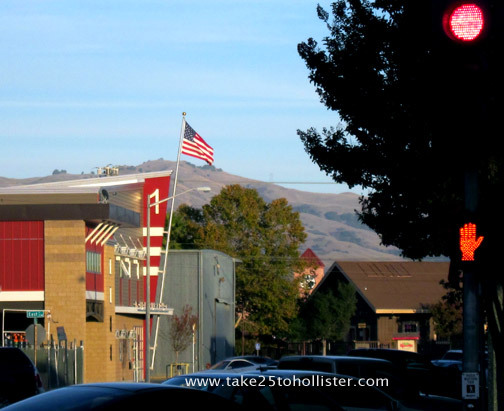 I had no idea its headquarters was located in Hollister; so, of course, I had to check it out. Jackpot! Another source for unique local gifts—garlic mustard, garlic olives, garlic salsa, garlic marinade, garlic condiment, garlic soap, and much more. Garlic Festival Foods has been in business for 26 years. It is located at 1803 Shelton Drive (off of Fallon Road, by the Hollister Airport), and is open to customers from 8:30 a.m to 2:30 p.m., Monday to Thursday. For more information about Garlic Festival Foods, check out their Web site and/or their Facebook page. Their products are also available at San Benito Bene in downtown Hollister. To FCC: Does taking a tiny package of spice from the Garlic Festival Foods' freebie basket for customers count? If so, I did do that. And, does tasting the free samples of food given to customers that day count as well? I did do that, too. Holliwood is a new boutique in downtown Hollister. 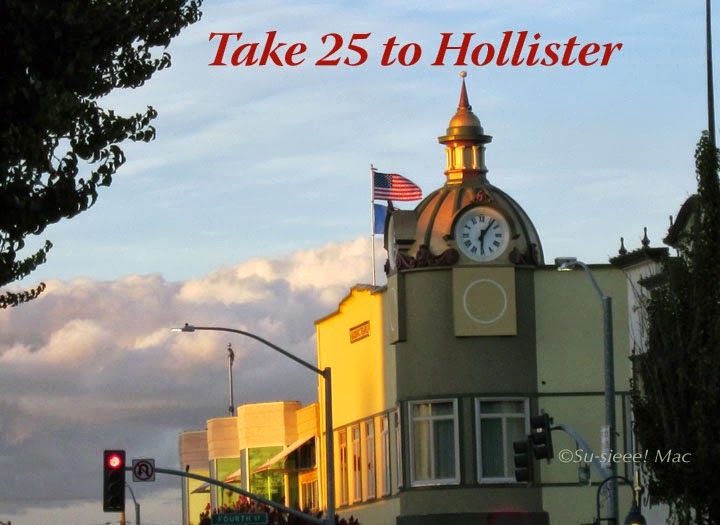 Its slogan is Bringing a little Hollywood to Hollister. How cool is that! The shop is owned by Christie Martin, who has been a jewelry designer for 20 years. She has worked in the jewelry fashion industry for 10 of those years in Hollywood. Cameron Diaz, the Olsen twins, Beyonce, Pink, Cher, Mariah Carey, and Christina Aguilera, among other actresses and singers have bought and worn her jewelry. Holliwood carries jewelry and clothing at affordable prices, according to its Web site. 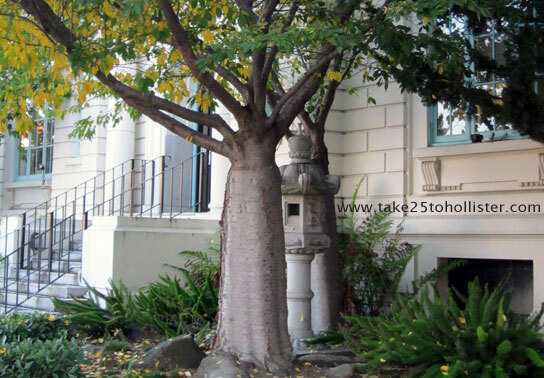 It's located at 748 San Benito Street (west side), near the corner of South Street. 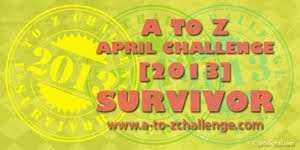 For more information, check out the shop's Web site and Facebook page. 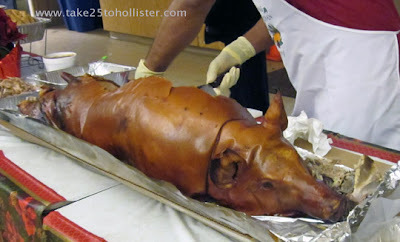 Nothing says a Filipino feast than a roast pig. And, that is what the Mama, the Husband, and I enjoyed on Saturday night at the 36th annual Christmas ball held by the Filipino American Community of San Benito County at the Veterans Memorial Building. It's a yummy beef hot dog covered with kimchi, inspired by the song Gangnam Style. That you can buy at Happy Dogg's in Hollister. Happy Dogg's? Uh-huh. The hot dog joint, run by Betty and George, is right across from the movie theater on McCray Street. Check it out. Here's the link to Happy Dogg's Facebook page. And, here's a link to the Yelp review page. 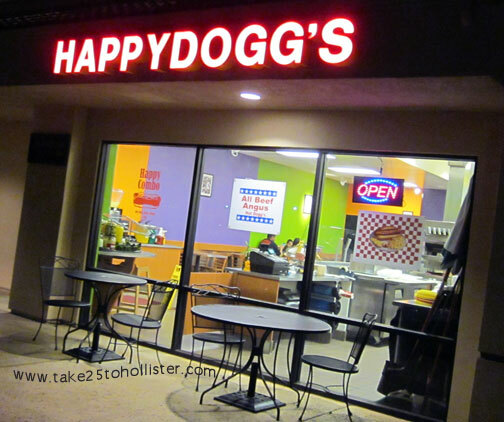 A Note to FCC: I received nothing free to write about Happy Dogg's. So, please move along. The windmill and water tank display at the San Benito County Historical Park. James Bond...no, Richardo Montalban would look hot in this, don't you think? 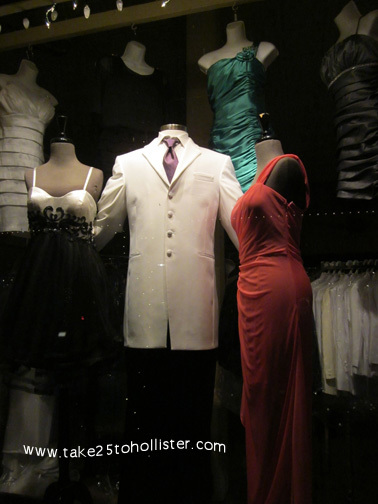 This was the window display of the dress shop on San Benito Street next to Mariposa Tax Services, back in November. 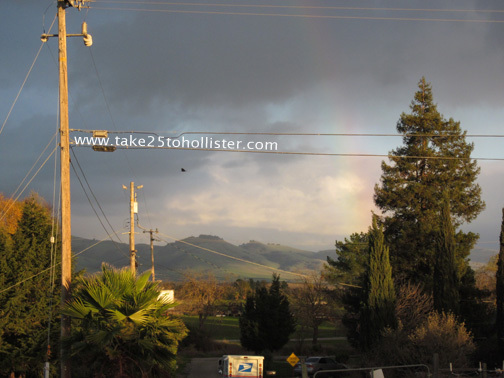 I saw the rainbow just as we were driving by Save Mart on Meridian Street. The green of the mountains did not hit me until a few blocks later. By the time we reached the end of Meridian, the rainbow was fading. What a view, though. What a view. 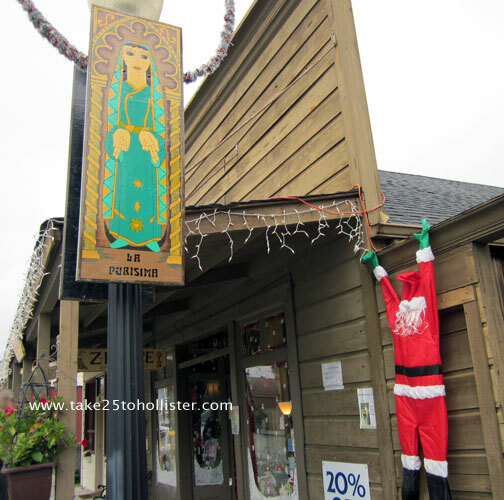 Was it the pretty lady that got Santa confused in San Juan Bautista? Or, the fact that today is 12/12/12? This Saturday (December 15) is Visions of San Juan—A Holiday Stroll Through Time. It will be from 11 a.m. to 9 p.m. Check out a new free source for local news. It's called Benito Link, an on-line web portal created by Vision San Benito. Already, I've learned that the new Hollister Mayor was sworn in on Monday; Immaculate Conception, the Catholic Church in Tres Pinos, celebrated 120 years; and the San Benito Homeless Shelter has been open since November 1. The site just recently went up, so give it time to develop and grow. It's nice to have another source of news and coming events and such for our community. Buena fortuna, Benito Link. Click here to go directly to Benito Link. Click here to go to Benito Link's Facebook page. 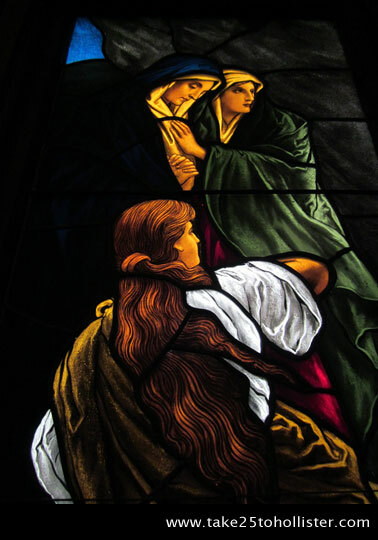 December 11: Oriana Chorale Carols and Lullabies. 7:30 p.m. at San Juan Bautista Mission. December 15: Visions of San Juan—A Holiday Stroll Through Time. 11 a.m. to 9 p.m., San Juan Bautista. December 15: Annual Filipino American Christmas Ball, 6 to 11 p.m, Veterans Memorial Building, Hollister. 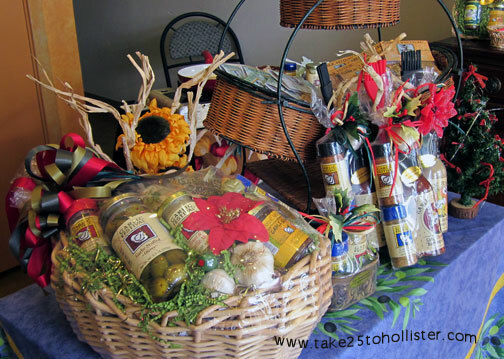 The Holiday Arts and Crafts Boutique is going on at Blak Sage Gallery until December 15, 2012. It features arts, crafts, cards, and gifts made by local artists and craftspeople, including Shannon Grissom, Jane Rekedal, Carole Belliveau, Kent Child, and Kathleen Sheridan, among others. Several shops on the 600 block in downtown Hollister are doing a "Wednesday Night Lights". Tomorrow, December 12, and next Wednesday, December 19, the following shops will be open until 7:30 p.m. Many local shops and businesses have holiday hours for our convenience. They're keeping their doors open later one or more days during the week. 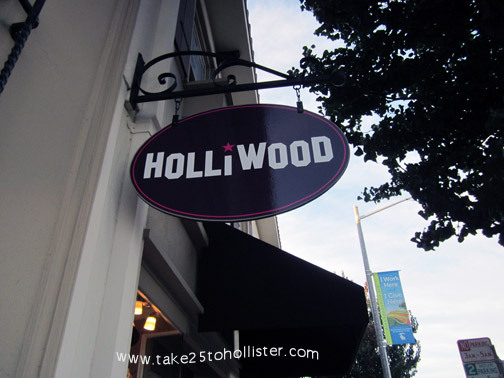 For example, Holliwood, a new shop in downtown Hollister (748 San Benito Street), has late hours. 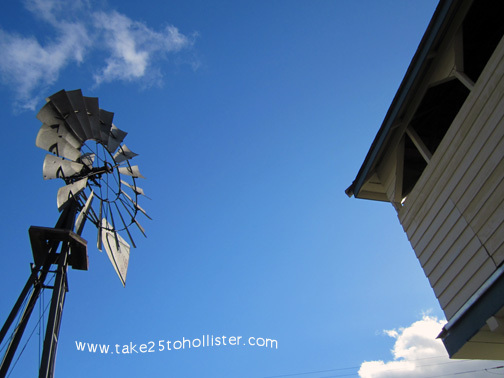 Some Hollister shops and most, if not all, San Juan Bautista shops are open on Sundays. So, if you haven't had a chance to check out local shops, here's your chance this year. 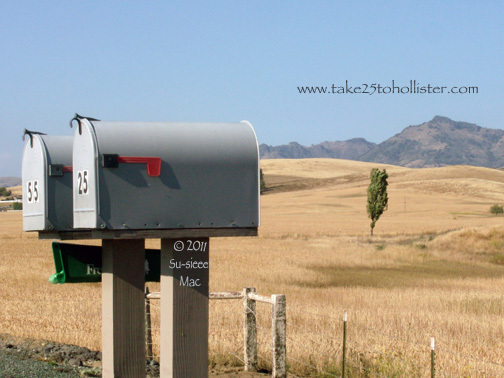 You can also find a listing of some shops and restaurants at this Take 25 to Hollister post. A note to FCC: Just so you know, no one has paid me to mention any of the above businesses. Just call me alturistic, I suppose. On Saturday, the Husband and I did the Shop Hop. How about you? Which shops did you check out? We only visited a few participating businesses, two of which were first times for us. On our way to M&M Garden Mart, we missed the Spring Grove Road turn so ended at the next road which was Comstock Road. Instead of turning around immediately, we decided to meander its full length. That is, to drive until we hit a dead end. It was probably only a few miles more after the houses, but it surely seemed like forever. A nice forever of wandering. The Hollister United Methodist Church is the familiar red brick edifice on the corner of Fifth and Monterey Streets. This weekend (December 1 and 2), it is celebrating its 150th anniversary. Wowza! 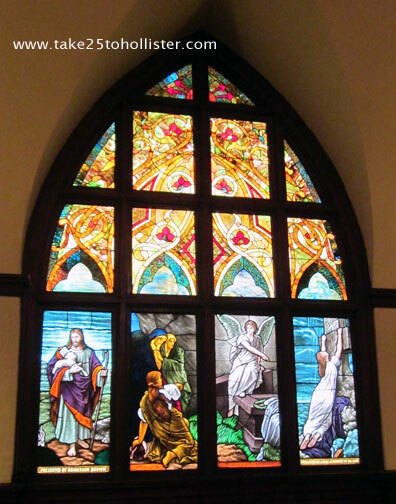 The husband and I visited its open house yesterday afternoon to see what the stained glass windows looked like. They are just as beautiful as we imagined they would be, just from looking at them from the outside. Reverend Ardyss Golden and another member of the church told us some interesting notes of both city and church history. The church was started in 1862. It held its first services in Colonel Hollister's home, which is the site of new San Benito County courthouse. And, for us old timers, where Fremont School once stood. Col. Hollister constructed a church building for the congregation in the middle of town. Where precisely, the Rev. Golden did not know. Nor did she know why it was moved to its current location. The original church, built in 1872, was a wooden structure. Today's social hall was the first sanctuary. The brick building was constructed in 1910. If I remember correctly what was said, the parsonage used to stand where the preschool is today. The parsonage was moved to Tres Pinos. Many of you, dear readers, may remember the ivy that climbed the brick walls. The ivy had to be removed because it was eating into the grout and destroying the building. The ivy, we learned, was a clipping of ivy from the University of Pacific in Stockton, and the college took its clipping from the Westminster Abbey in London. 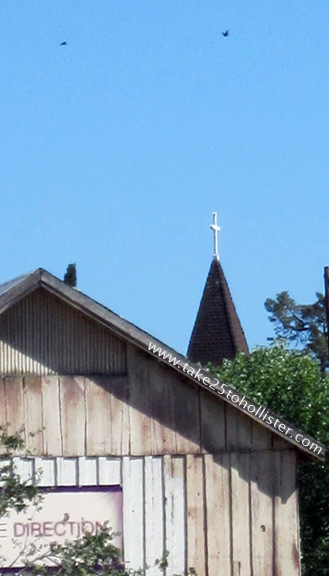 At one time, there were two Methodist congregations in Hollister. 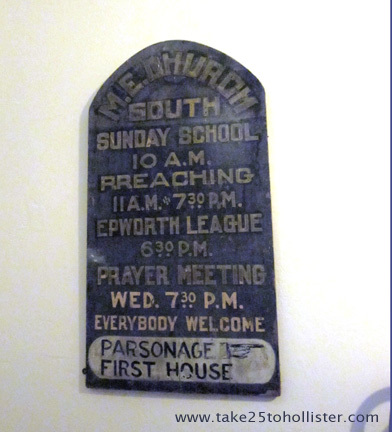 The Methodist Episcopal Church, South was located at the current spot, while the Methodist Episcopal Church was a couple blocks away.